Craig E. Baumann’s experience practicing law has spanned five decades. 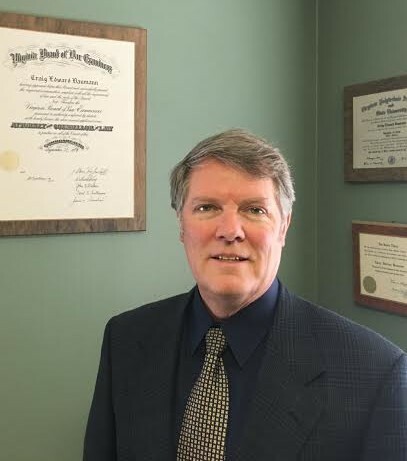 In that time Mr. Baumann has practiced in many areas of law which gives him the ability to use his broad knowledge and understanding in many areas of the law to assist his clients with the multitude of issues that arise with any given legal situation. He has been a resident of Northern Virginia since 1968. He obtained his undergraduate degree from Va. Tech (1975). While at Va. Tech he attained membership in Phi Alpha Theta in recognition of scholarship in the field of History. He then received his law degree from the University of Richmond (1978). He passed the Virginia Bar exam the same year. As a member of his community Mr. Baumann has served in his local Chamber of Commerce as a member, then President and finally as Chairman of the Board. Mr Baumann has also done volunteer work with many youth organizations coaching various sports for both boys and girls from ages 5 to 18 over a three decade time span. Mr. Baumann also maintains a real estate license which allows him to assist clients with real estate transactions and real estate related legal issues. This allows him to be well rounded and understand other aspects of work outside the law. Craig E. Baumann was married to his wife Carol in 1980 and they have two adult children and two grandchildren. Outside interests include his family, reading, travel and sports.